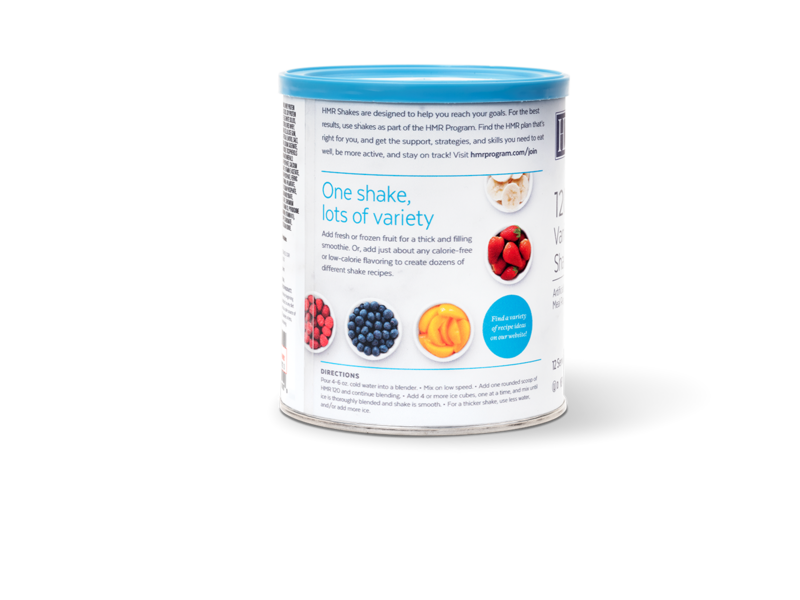 120 Calories—with Vitamins and Minerals Built In! 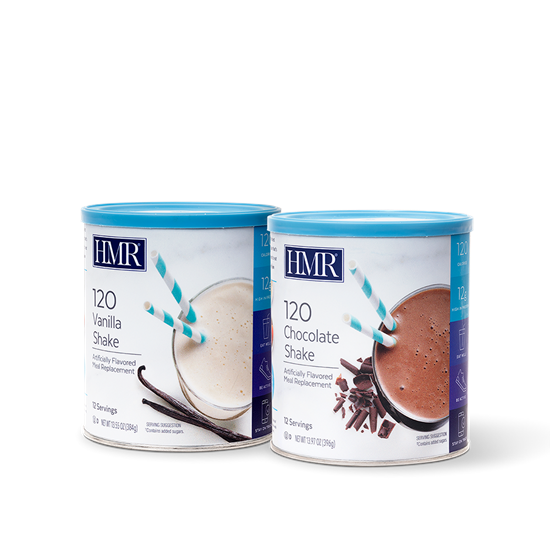 Every low-calorie, low-fat scoop of HMR® 120 Shake mix includes 30–35% of the daily adult needs for most vitamins and minerals. You create rich, creamy drinks that are only 120 calories each. Packaged in a money—saving canister of 12 servings. 120 calories 11g protein 300mg calcium 1.5g fat 0g trans fat 16g carbohydrate 240mg sodium. 120 calories 11g protein 300mg calcium 2g fat 0g trans fat 16g carbohydrate 240mg sodium.